Does this bus run to...? Six exercises on the topic "Does this bus run to...? 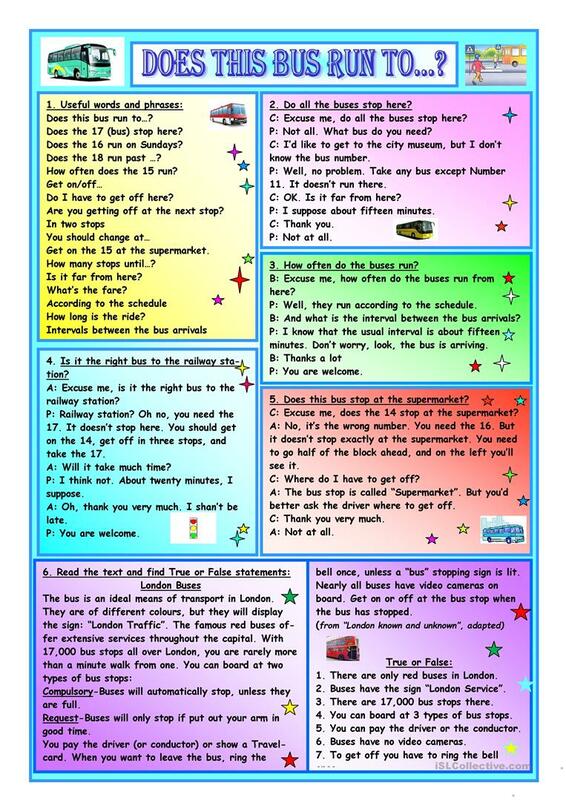 ": useful words and phrases, different dialogues about buses running to the railway station,museum, supermarket, a short text with true or false statements about London buses. Thank you!!! The present downloadable handout is a great resource for high school students, elementary school students and adults at Elementary (A1), Pre-intermediate (A2), Intermediate (B1) and Upper-intermediate (B2) level. It is excellent for working on your class' Speaking and Reading skills.